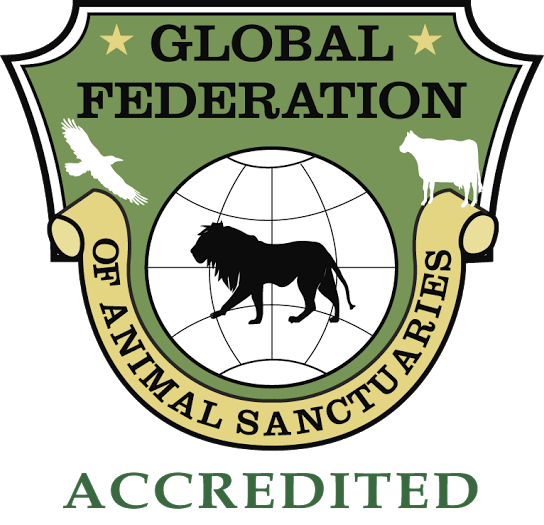 The horses on this page are in the process of rehabilitation. They may have suffered abuse, neglect, or starvation, or may simply be recovering from an injury. The horses will be made available for adoption when they have recovered. 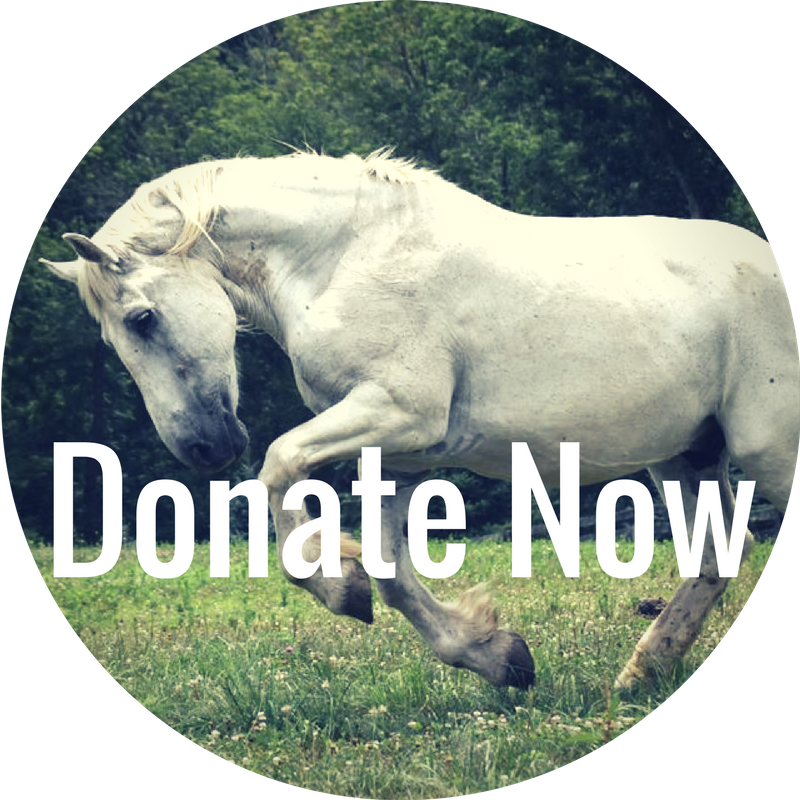 Please consider sponsoring one of these beautiful horses! My care is partially sponsored by K. Gladwell and A. Simpson! Thank you! Personality: A retired Philadelphia carriage horse, Butterscotch is calm and patient. He has a been there, done that personality and is very easy to get along with! My care is fully sponsored by K. Green! Thank you! Personality: Caroline is reserved but very kind. She retired from life a New York City carriage horse and is enjoying a more relaxed life. My care is fully sponsored by M. Sollers. Thank you! Personality: Deacon is kind, but reserved. Once he puts on a few more pounds, he will be evaluated under saddle and start into training! Sponsored in part by S. Lieberman and G. Hammer in loving memory of Teddy. Thank you!! Personality: In your pocket and energetic, Daisy shows promise to be a wonderful horse! I am sponsored in part by T. Bagwell. Thank you! Personality: Eloise is sweet and gentle, and she gets along with any herd! She does require sedation for farrier work at times though! Personality: Sweet, kind, but opinionated. I am fully sponsored by B. Dul and T. Zseleczky. Thank you!! Personality: A retired New York City carriage horse, Harlem is kind and quiet. He has a been there, done that personality and is very patient with all of his treatments. My care is sponsored in part by K. Graziano! Thank you! Personality: Ivory is a calm and sweet girl who will start into training once she puts weight on! Personality: Jewlie is a sweet mare who soaks up attention! My care is sponsored in part by J. McEntire. Thank you! Personality: Large Marge is kind and outgoing. All she desires is human interaction. She will make a lovely addition to any farm once she’s back to health! My care is sponsored in part by S. and B. Brown. Thank you! Personality: A retired New York City carriage horse, Madison is an angel of a horse. My care is fully sponsored by L. Steinfeld. Thank you!! Personality: Magnolia is as sweet as she is beautiful. We are hoping to get to the bottom of her lameness and eventually evaluate her under saddle. If it does not resolve, she will make a lovely companion for any home! Personality: Marlie is a sweet boy with some opinions. Once his feet are clear, he will be started into a training program. He is very intelligent and will make a lovely mount for an experienced rider. My care is fully sponsored by A. Elliott. Thank you! Personality: Rambler is a sweet boy who will be back to work shortly. Once completed training, he will be available for adoption to an intermediate level rider. Personality: Gentlemanly, tolerant, but knows his size. My care is sponsored in part by L. Glueck, J. Deverse . Thank you! Personality: A retired Philadelphia carriage horse, Sammie has been there and done that. Very gentle and kind. My care is fully sponsored by B. & C. Riddle and J. Hake. Thank you!! Personality: A retired plow horse, Stewbie can be a little pushy but is very friendly! He taught many Amish children to ride in his younger years! Sponsored by T. Bozych and P. Pollack. Thank you!! Personality: Laid back and calm, Stoney is an easy girl to handle. Good for vet and Farrier. My care is sponsored in part by A. Ferchaw . Thank you! Personality: Sugar Snap Pea came to us with one of the most horrific injuries we’ve ever seen. With some around the clock medical treatments, this girl is making a smooth recovery! Personality: Tonka is tall and handsome. He has an outgoing personality but definitely wants things his way. He’s been through a lot and amazes everyone with how kind he still is despite his past. My care is fully sponsored by W. Meads! Thank you! Personality: Spry for her age. Bonded to Jupiter.